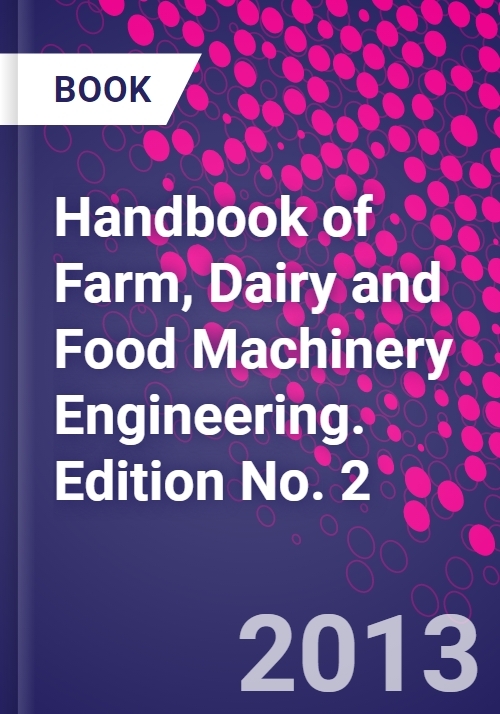 Handbook of Farm, Dairy and Food Machinery Engineering is the essential reference for engineers who need to understand those aspects of the food industry from farm machinery to food storage facilities to the machinery that processes and packages our foods. The process of getting food from "farm to fork," as the saying goes, involves more than planting, harvesting, shipping, processing, packaging and distributing-though those are all key components. Effective and efficient food delivery systems are built around processes that maximize the effort while minimizing cost, time, and resource depletion. This comprehensive reference is for engineers who design and build machinery and processing equipment, shipping containers, and packaging and storage equipment. It includes cutting-edge coverage of microwave vacuum application in grain processing, cacao processing, fruit and vegetable processing, ohmic heating of meat, facility design, closures for glass containers, double seaming, and much more. Myer Kutz has headed his own firm, Myer Kutz Associates, Inc., since 1990. For the past several years, he has focused on writing and on developing engineering handbooks on a wide range of technical topics, such as mechanical, materials, biomedical, transportation, and environmentally conscious engineering, for a number of publishers, including Wiley, McGraw-Hill, and Elsevier. Earlier, his firm supplied consulting services to a large client roster, including Fortune 500 companies, scientific societies, and large and small publishers. The firm published two major multi-client studies, "The Changing Landscape for College Publishing and "The Developing Worlds of Personalized Information. Before starting his independent consultancy, Kutz held a number of positions at Wiley, including acquisitions editor, director of electronic publishing, and vice president for scientific and technical publishing. He has been a trustee of the Online Computer Library Center (OCLC) and chaired committees of the American Society of Mechanical Engineers and the Association of American Publishers. He holds engineering degrees from MIT and RPI, served as an officer in the US Army Ordnance Corp, and worked in the aerospace industry on the Apollo project. In addition to his edited reference works, he is the author of nine books, including Temperature Control, published by Wiley, Rockefeller Power, published by Simon & Schuster, the novel, Midtown North, published under the name Mike Curtis, and most recently the independently published novel, In the Grip. He is the editor of the Bulletin of the Professional Scholarly Publishing Division of the Association of American Publishers and writes The Scholarly Publishing Scene column for the magazine Against the Grain. He lives in Delmar, NY, with his wife, Arlene.